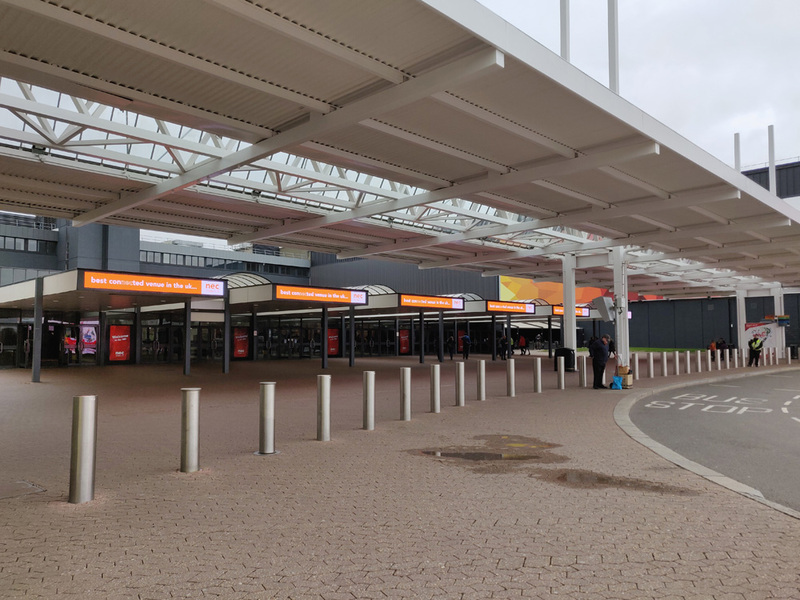 ePHOTOzine is on the ground at TPS, getting you closer to the action with all the best bits from the most anticipated weekend on any photographer's calendar. Here's our roundup of highlights from the show, including getting hands-on with newly-released lenses, exploring new accessories, all the latest cameras, and more! It was an early start for us as we headed in to explore the show - no snow this year! 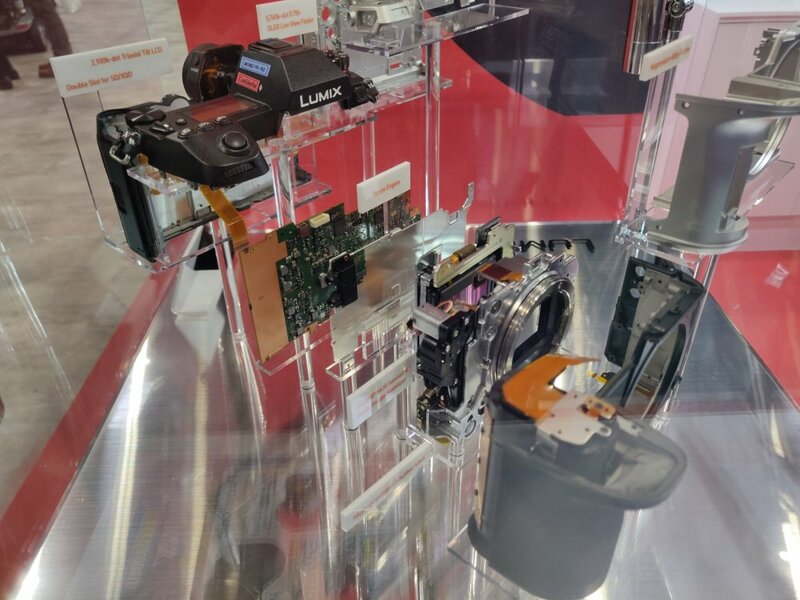 Panasonic have an exploded Lumix S1 at the show - so you can check out it's inner workings. We explored in further detail in our Inside the Panasonic Lumix S1 article. Canon are displaying their new RF 70-200mm f/2.8L IS USM lens at TPS for the first time in Europe! A range of other RF system lenses are also on show, including the RF 24-240mm f/4-6.3 IS USM which we also explored in more detail. 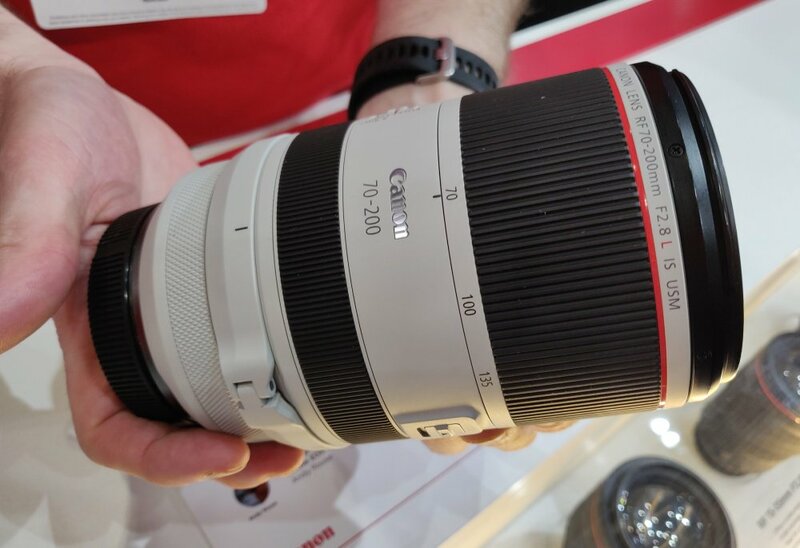 Future Canon RF lenses due for release later this year are also on display. 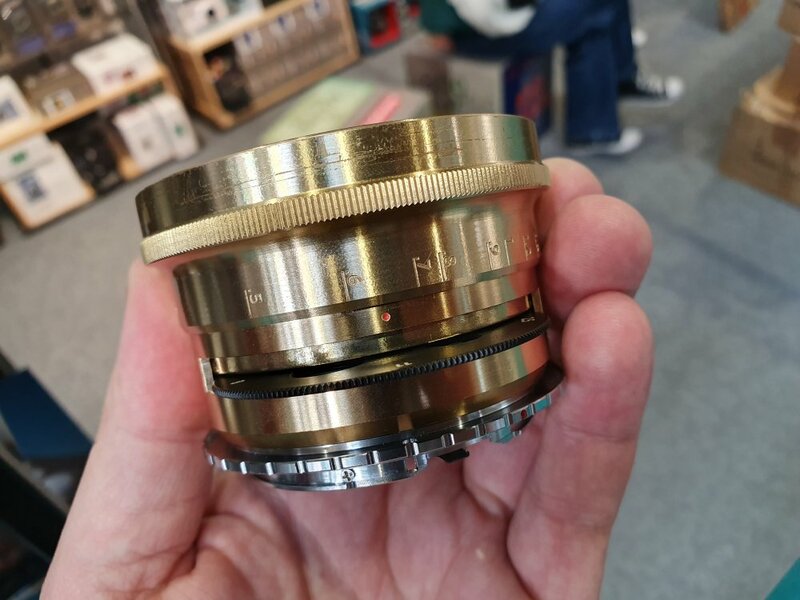 Thingyfy are showing off what they claim to be the world's first pinhole zoom lens at TPS. The company already have 2 other pinhole lenses which are already available to purchase. The pinhole zoom - the Thingyfy Pinhole Pro X, has an 18-36mm range and is set to be available in a range of lens mounts. The lenses are designed in Canada and made in China. 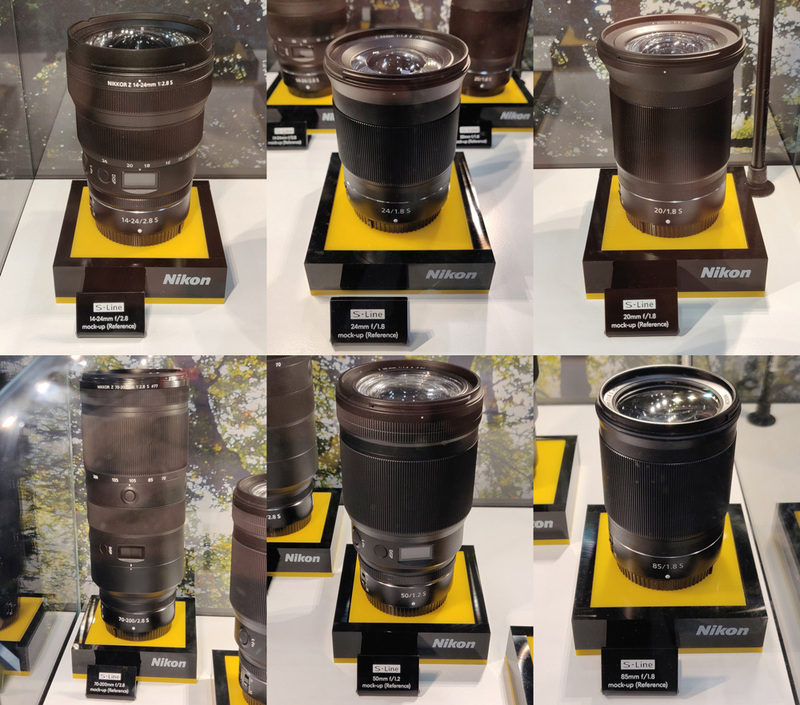 Nikon have reference mock-ups of 6 future Nikon Z series lenses on their stand - this is very exciting and we can't wait to get our hands on them when they are launched. ePHOTOzine has also been hands-on with the Nikon Z 24-70mm f/2.8 S Pro at the show. 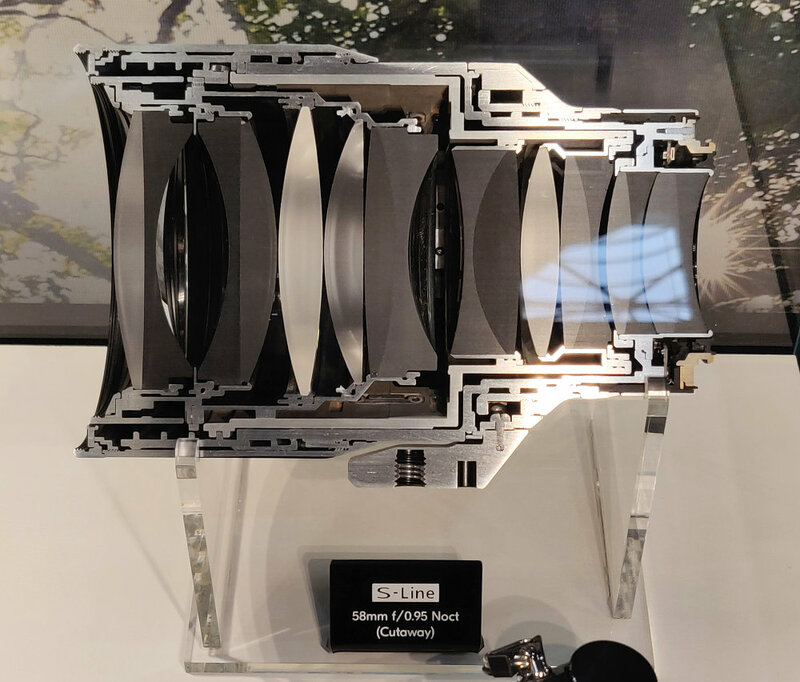 Nikon are also showcasing their 58mm f/0.95 Noct, cut in half so you can see its inner workings. 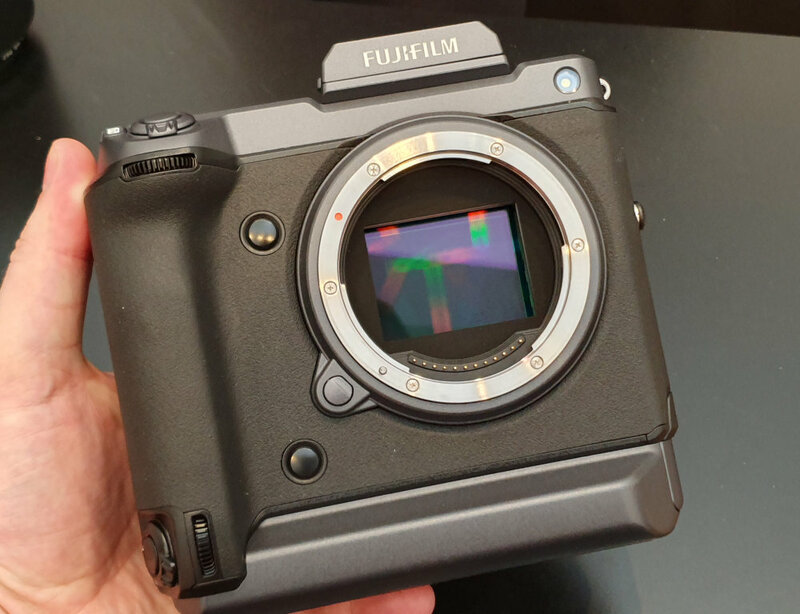 The Fujifilm GFX 100 was announced last year and we first saw the camera at Photokina. Now, we're hands-on with the Fujifilm GFX 100 at The Photography show. Made in conjunction with ZENIT in Russia, this beautifully crafted 32mm f/2.5 Art lens is very eye-catching, and features a circular aperture which is changed by turning the aperture ring featuring different holes for the different apertures. The lens has been funded on Kickstarter and has quadrupled its target funding! Olympus have on display at TPS their beast of a lens - the M.Zuiko Digital ED 150-400mm f/4.5 IS PRO. 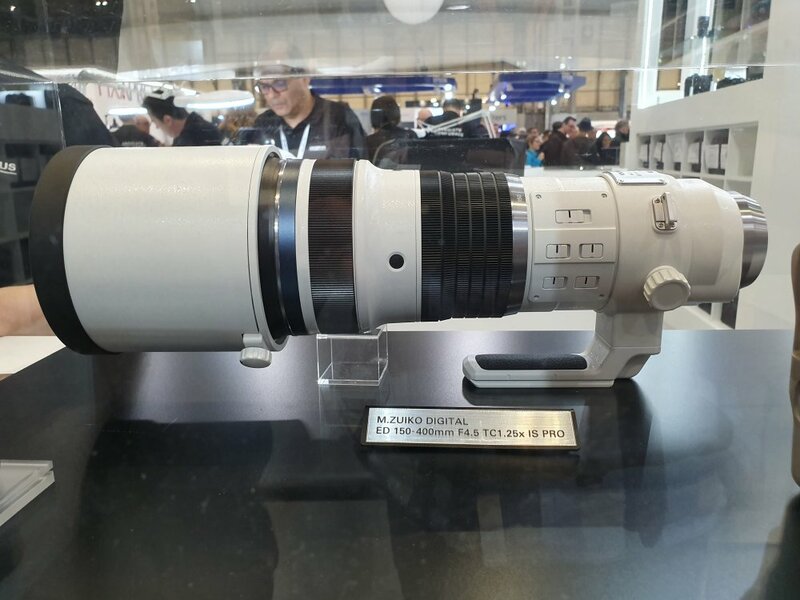 They are also showing the TC1.25x version of the lens, which features a built-in 1.25x teleconverter. The lens is still under development. 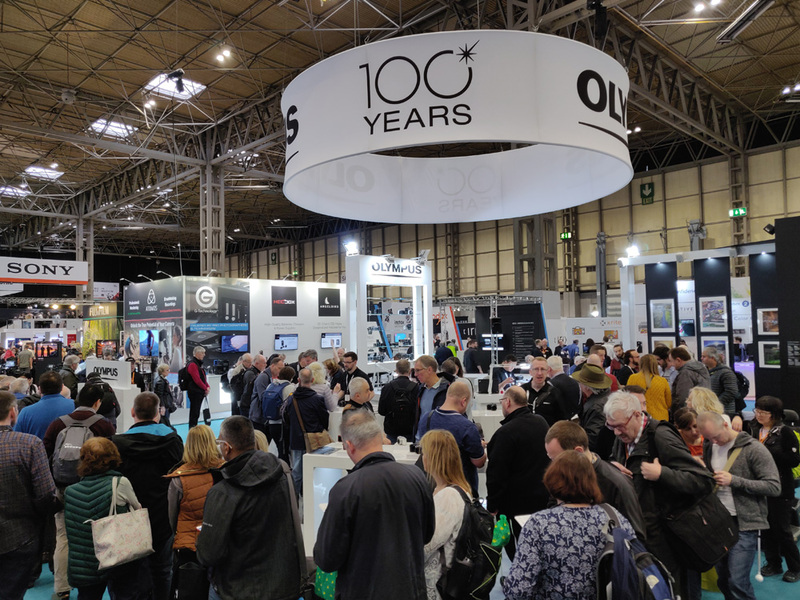 Olympus are celebrating their centenary this year. 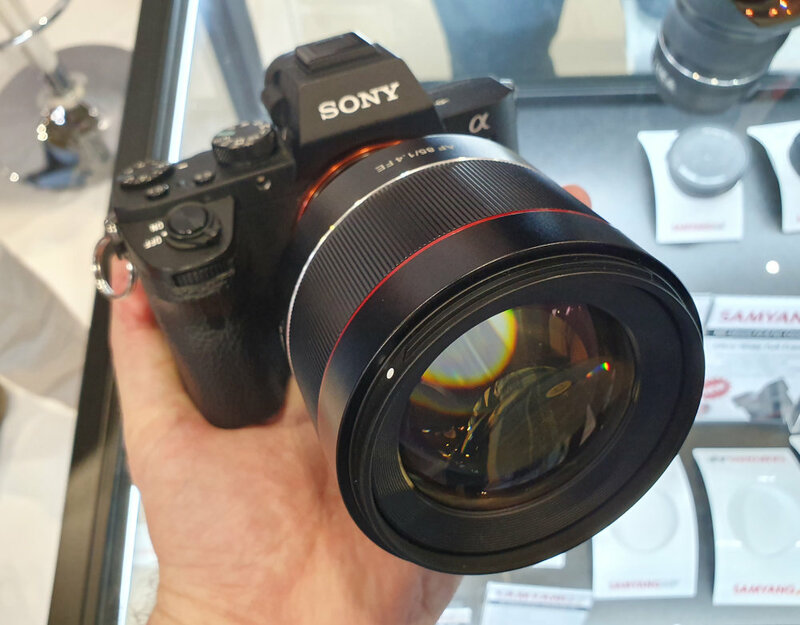 Announced only days ago, the Samyang AF 85mm f/1.4 FE is on display at TPS. 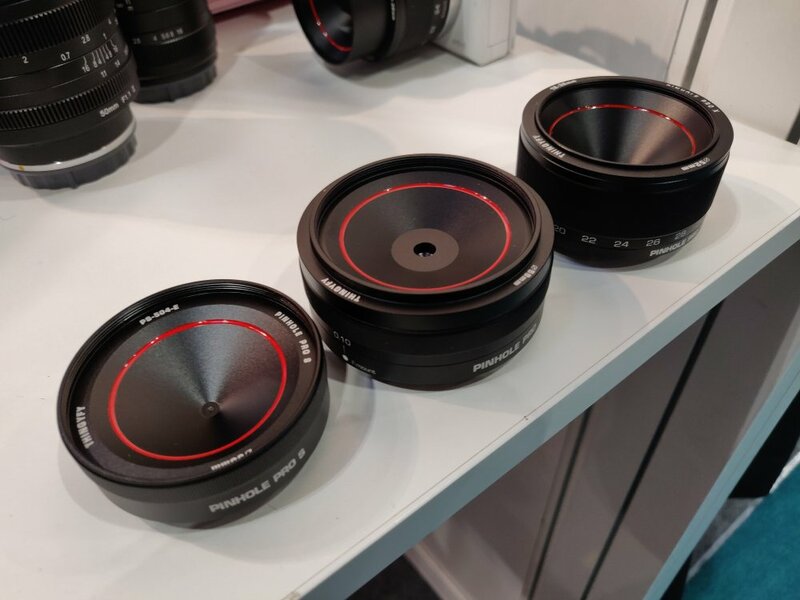 Also on display are more lenses from Samyang's Spring collection, the MF 85mm and MF 14mm lenses which are both for the Canon EOS R system. 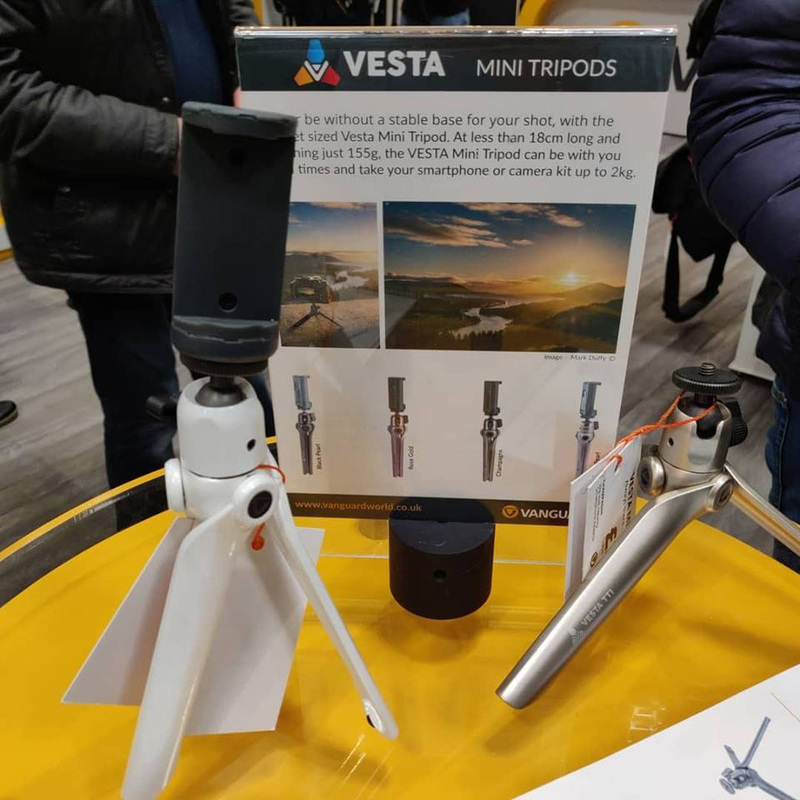 Vanguard are showcasing their Vesta mini tripods as well as some new bag ranges at TPS. 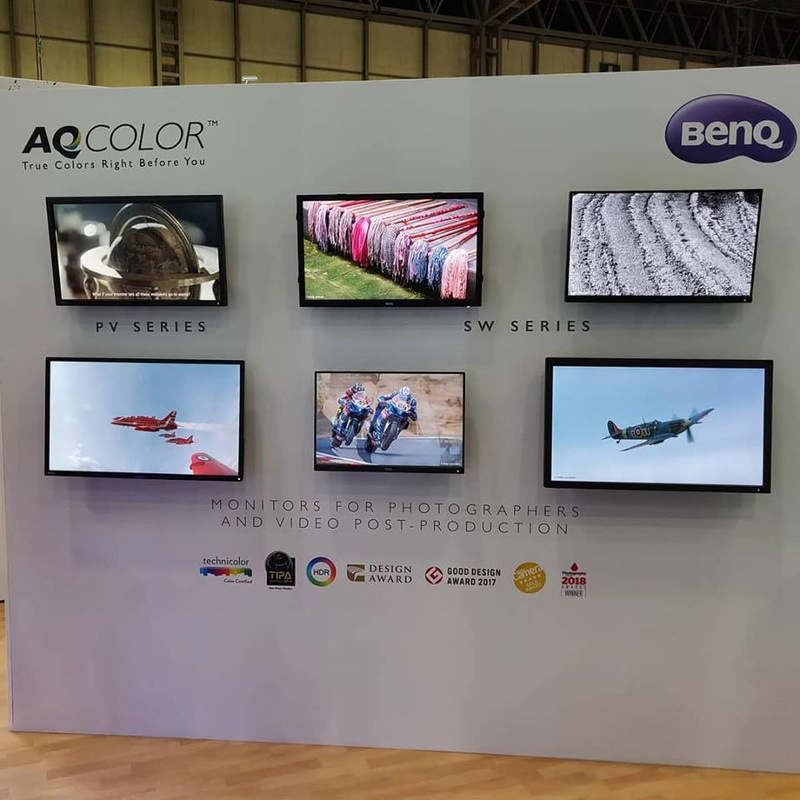 BenQ are showing TPS-goers how to improve their colour management, through understanding how it works to help get your colours right. 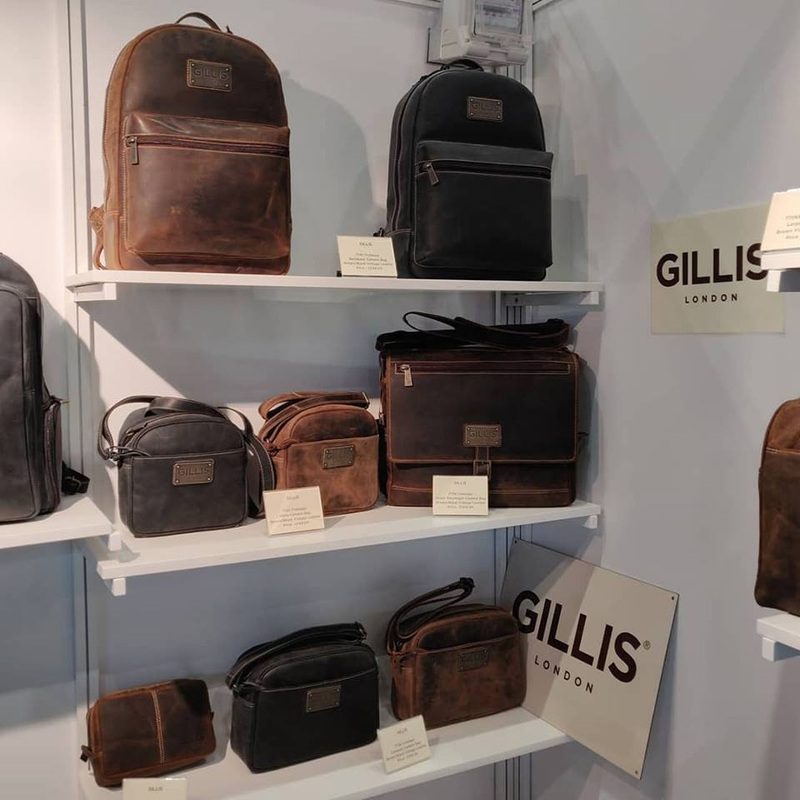 Gillis London are showcasing their range of luxury camera bags, made only from the finest materials. 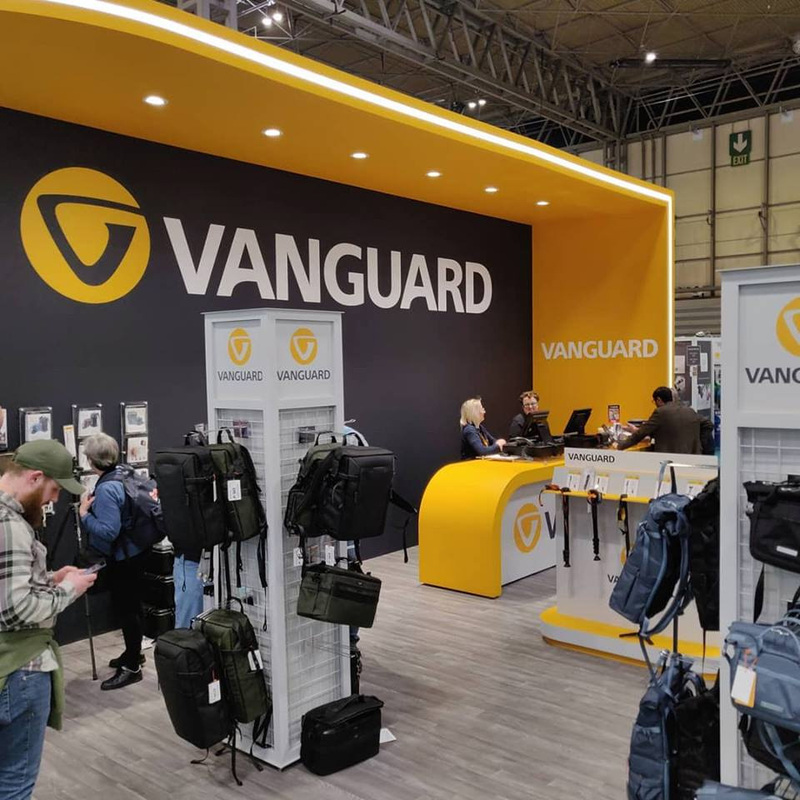 There's a 10% discount on all bags purchased at the show. 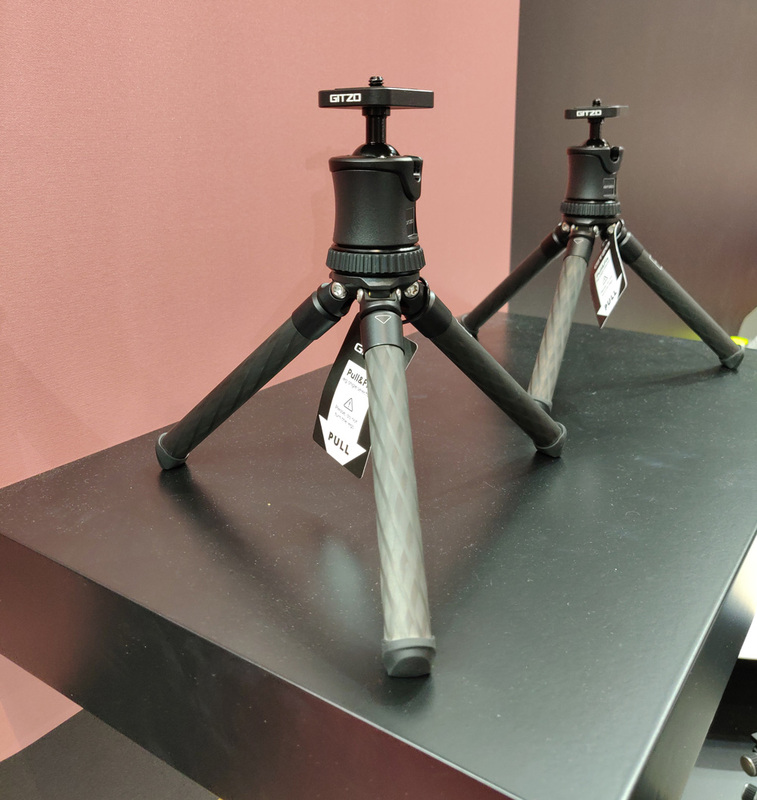 Gitzo are promoting their mini traveller tripod - a high-end carbon fibre model that can easily stow into smaller bags and features sturdy rubber feet. 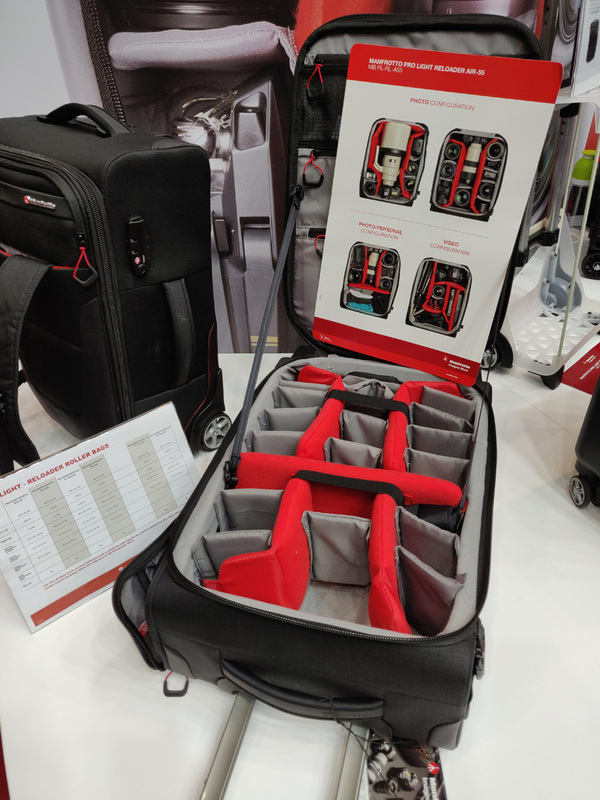 Manfrotto's newly announced Pro Light Reloader bags are on display - these carry-on trolley bags are designed for travel and Switch-55, shown here, can be worn as a backpack as well. 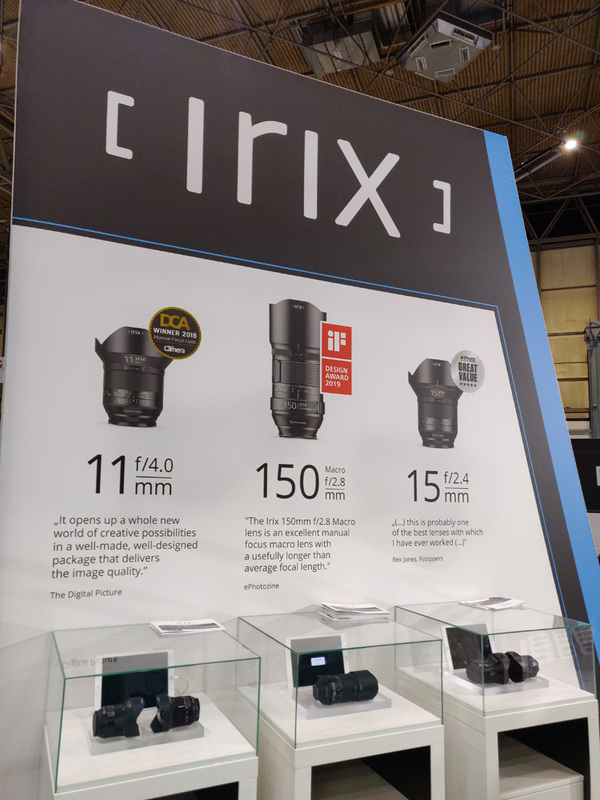 Irix are a relatively young lens company however they have taken the industry by storm with their two wide-angle lenses and their newest addition, the 150mm f/2.8 macro, won an iF design award this year. 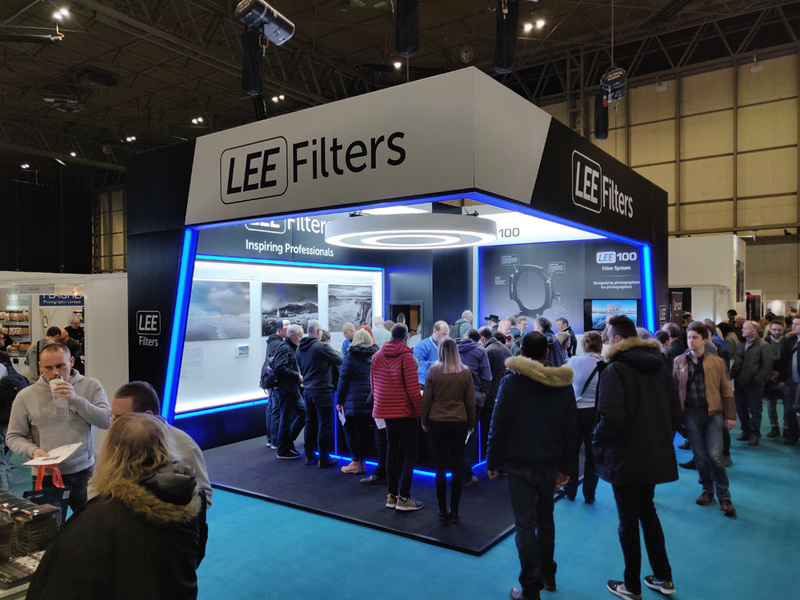 LEE Filters launched a brand-new filter system over the weekend and here at TPS they have been telling photographers all about it. The LEE100 filter system has been designed on extensive customer feedback and product testing. 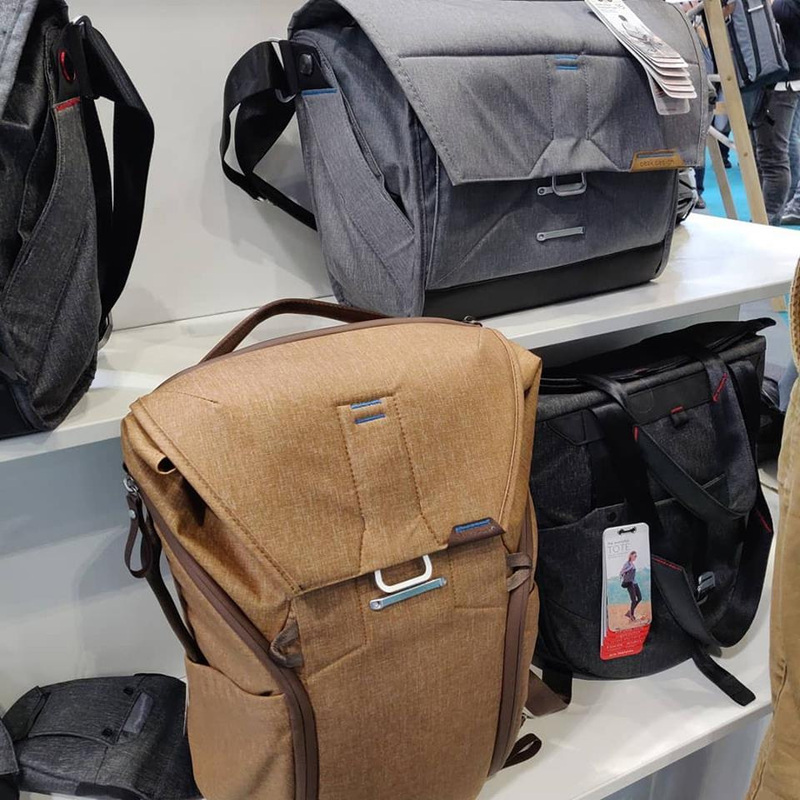 Peak Design have a wide choice of bags for you to choose from at TPS. Their bags have a geometric look and have origami-style dividers to maximise space. 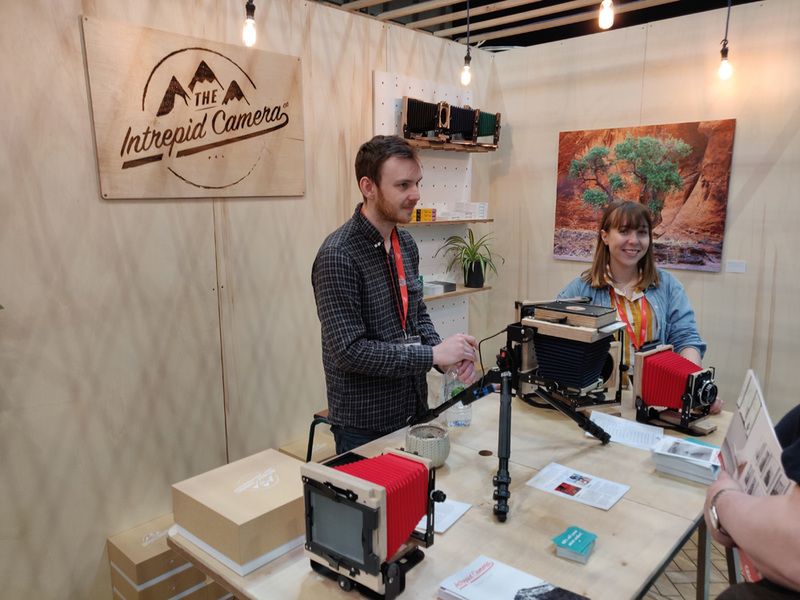 The Intrepid Camera want to make large format photography more accessible and affordable, to keep photography tradition alive. They say the format is photography in its truest form, and so they have created 4x5 and 8x10 cameras, as well as accessories, that you can order at the show. 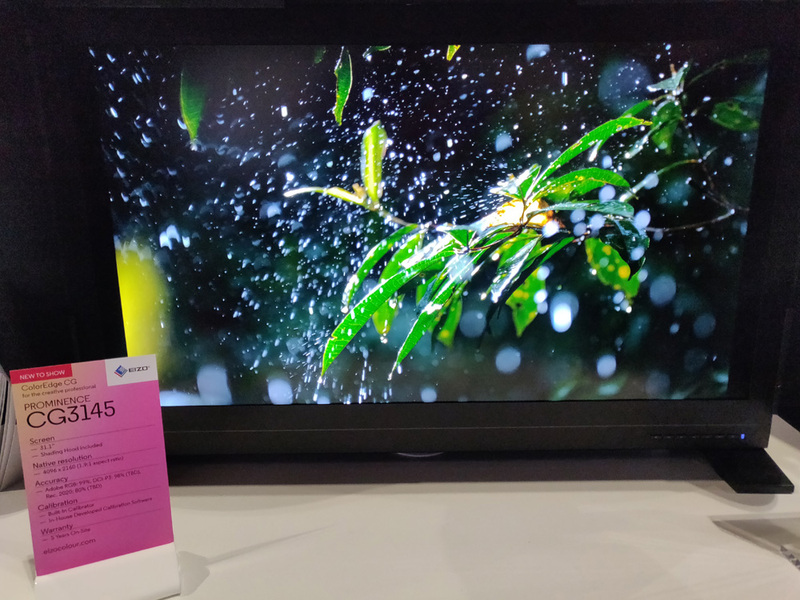 EIZO have on display a selection of their latest monitors, designed specifically for photographers with true-to life colours and built-in calibration devices to ensure colour accuracy.